Amazon Kindle Fire Actual Cost is $202; Why Amazon is selling it for $199? Posted by SizloTech on Nov 20, 2011 in News | Comments Off on Amazon Kindle Fire Actual Cost is $202; Why Amazon is selling it for $199? The recent reports of a global research firm HIS showed that the actual cost of Kindle Fire is $201.70 while Amazon is selling this ereader for $199. It is really surprising news for us as according to this report Amazon is selling Kindle Fire at a loss. Amazon is bearing $2.70 loss per unit. It is mentioned by research firm’s report that initially this web retailer giant will cover its loss from the price of ebooks and movies which kindle owners will buy for kindle fire. Research firm took into account the cost of material and assembly of this Android tablet which is around $201.70 however they didn’t include the cost of marketing into this cost. 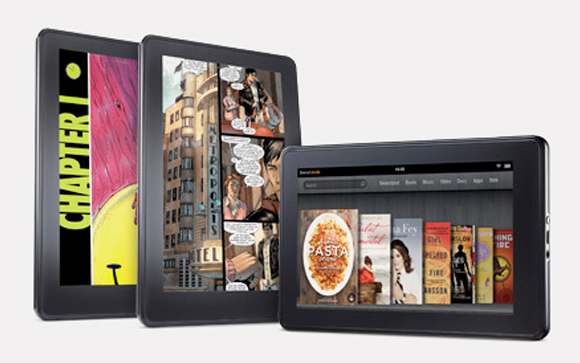 For your information, the most expensive component of Kindle fire is its 7-inch touchscreen as its cost is $87 per unit. Amazon CEO Jeff Bezos stated that they were expecting a small profit from the hardware.